East Coast Storage - Shallotte, NC - SOLD! East Coast Storage, located in Shallotte, North Carolina, is ideally placed on the Western side of Shallotte, with frontage on both Highway 179 and Highway Business 17. 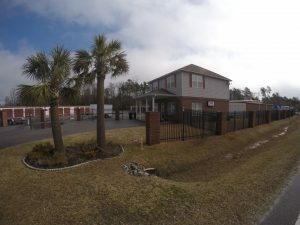 The existing facility is in immaculate condition from the asphalt to the roof, having been developed by Betco Inc. and the existing owner (one of the largest commercial developers in Brunswick County). The facility also has a healthy mix of traditional and climate controlled units, which bodes well for its seasonal location there on the coast.